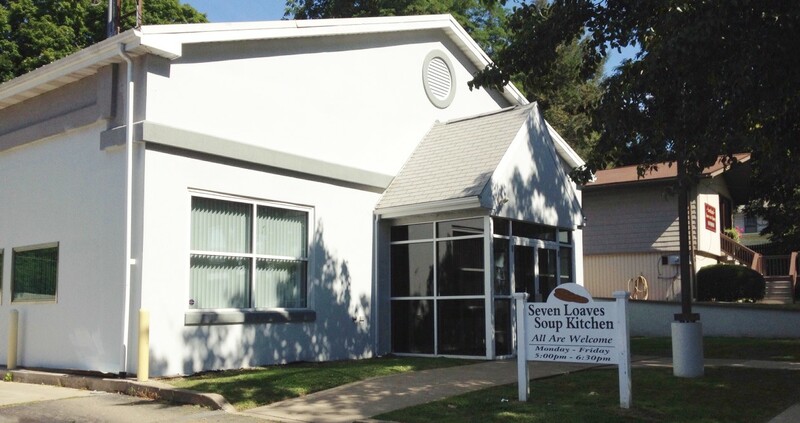 Seven Loaves Soup Kitchen, Inc. is a non-profit, non-affiliated group of volunteers that have been providing hope and compassion to our community since it opened in September 2007. We strive to be of assistance to others and serve with a spirit of compassion, respect, and dignity. The Seven Loaves Soup Kitchen’s mission has been to enhance the health and quality of life of the unfortunate and elderly in our community by providing regular hot, hearty, nutritious, well-balanced meals five days a week at no cost. Over 157,000 meals have been served to the working poor, unemployed, handicapped, limited fixed income seniors, families with children and individuals in need during the past 11 years. Each meal is planned with nutrition in mind. Every day at least one meat, a starch, two vegetables, soup, salad, fruit, dessert and beverage are offered along with other side dishes as available.